Outsmarting the SAT is the most effective SAT guide you've never heard of. 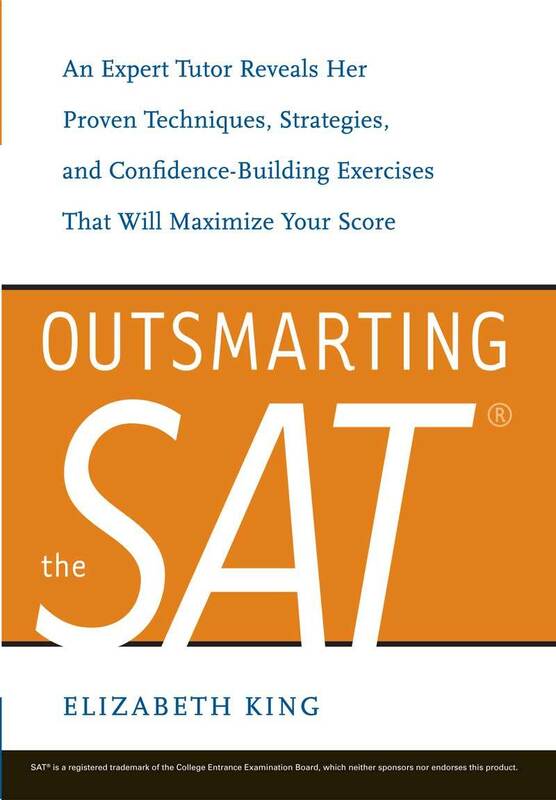 Obsessively designed from the the most fundamental elements for conquering each section, Outsmarting is crafted with a respect for the academic potential in its reader and an empathy with the task that is attempting to conquer the SAT. Funny and personable, the math section is even personally hand illustrated so that the math looks accessible and familiar. Outsmarting the SAT is the next best thing to having a private session with Elizabeth King, one of the country's top SAT coaches. Trained by one of the College Board's original SAT prep material authors, Elizabeth takes the SAT annually, consistently achieving an aggregate score in the 99th percentile.King's tried-and-true innovative strategies are proven to help high schoolers boost their SAT scores higher than they thought possible. Designed for students of all levels—from those who simply need to brush up on sentence completion skills to dire cases who need a crash course on algebraic functions or a school year's worth of geometry—King's down-to-earth coaching approach tackles test material in concise, easy-to-follow lessons that prepare any student to master the SAT. Featuring a broad range of practice problems and handwritten, clear solution explanations, Outsmarting the SAT teaches students everything they need to know to do their best on the test. Elizabeth and her students know that guesswork and shortcuts won't lead to top SAT scores, so she explains the nuts and bolts of each type of question on the test and then cements the instruction by leading students through a broad array of sample problems with clear, handwritten solution explanations. Elizabeth takes the SAT annually and has an aggregate score in the 99th percentile, so she knows first-hand what the stress of test day feels like and how her innovative strategies propel scores into the upper echelon. Elizabeth's students consistently report that they did well on the SAT because they felt prepared, in control, and, most importantly, confident in their knowledge and abilities. Outsmarting the SAT is the next best thing to having a private session with Elizabeth King, one of the country's top SAT coaches. King's tried-and-true innovative strategies are proven to help high schoolers boost their SAT scores higher than they thought possible. Designed for students of all levels--from those who simply need to brush up on sentence completion skills to dire cases who need a crash course on algebraic functions or a school year's worth of geometry--King's down-to-earth coaching approach tackles test material in concise, easy-to-follow lessons that prepare any student to master the SAT. Featuring a broad range of practice problems and handwritten, clear solution explanations, Outsmarting the SAT teaches students everything they need to know to do their best on the test.